Chest pocket with ID-card pouch. Spacious front pockets with zippers. Inside pockets. 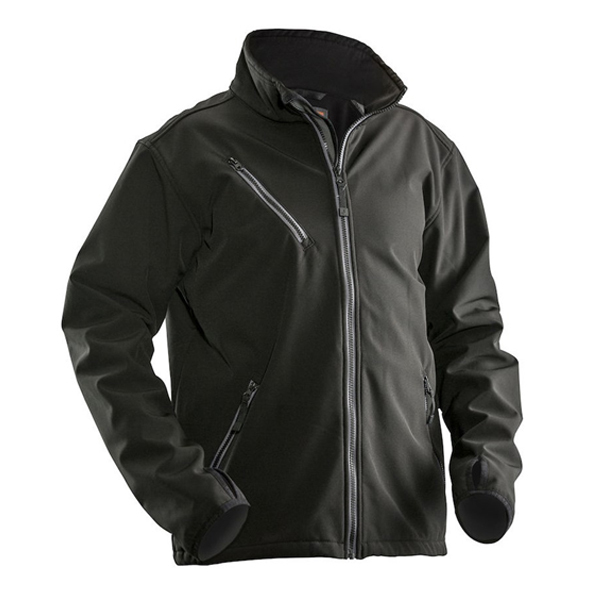 Dress to impress with the Jobman 1201 Softshell Jacket. With its micro fleece lining to keep you warm in the cold weather and breathable for when you start to work hard and get hot, this jacket is the must have garment to own. Shaped Arms and with extra material on the back to give you total freedom of movement during your working day.